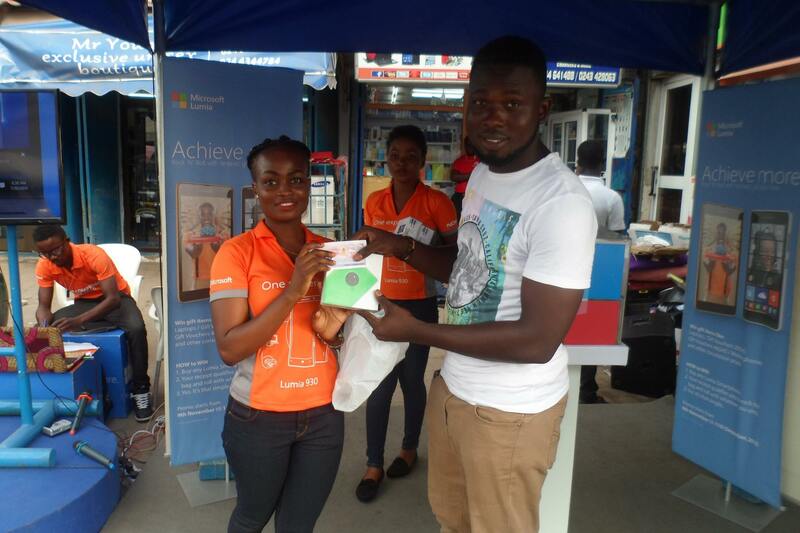 Home > Deals-In-Gh > Meet some Lumia Rock n Roll winners! 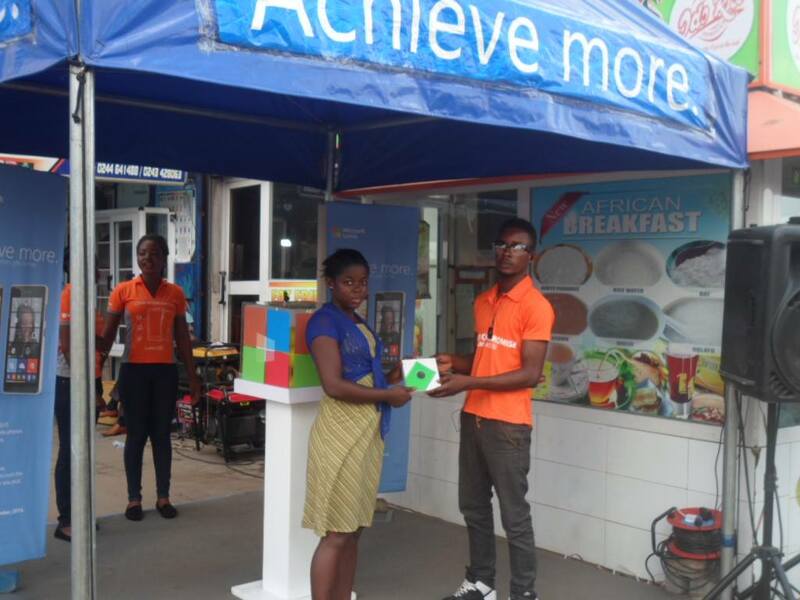 Like I mentioned in an earlier blog post Microsoft Mobile Division Ghana has launched the Achieve More Promotion or Lumia Rock n Roll promotion. The Lumia Achieve More promotion or Lumia Rock n Roll promotion allows people who buy new Lumia devices anywhere in Ghana between November 9th and December 25th to show a proof of purchase at any of the accredited redemption centers. You then get the opportunity to ‘Rock’ a lucky dip bag and ‘Roll’ with whatever you pick from the bag at any of the redemption centers. 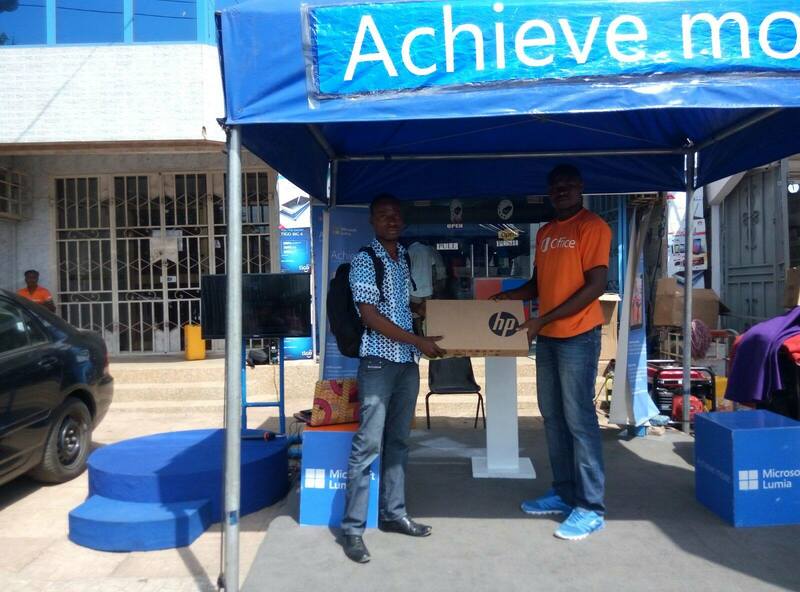 Among the prizes to be won in the Lumia Rock n Roll promotion are laptops, phones and shopping vouchers. So if you are planning on getting a Lumia mobile device, now is probably the right time to buy one. Profit from the Christmas sales promotions running in most stores and also win yourself an extra gift from the lucky dip. Have you already purchased a new Microsoft Lumia mobile device and won some other item. Share your excitement with us. If you didn’t win too share a tip on what we shouldn’t try, someone will thank you for the tip.